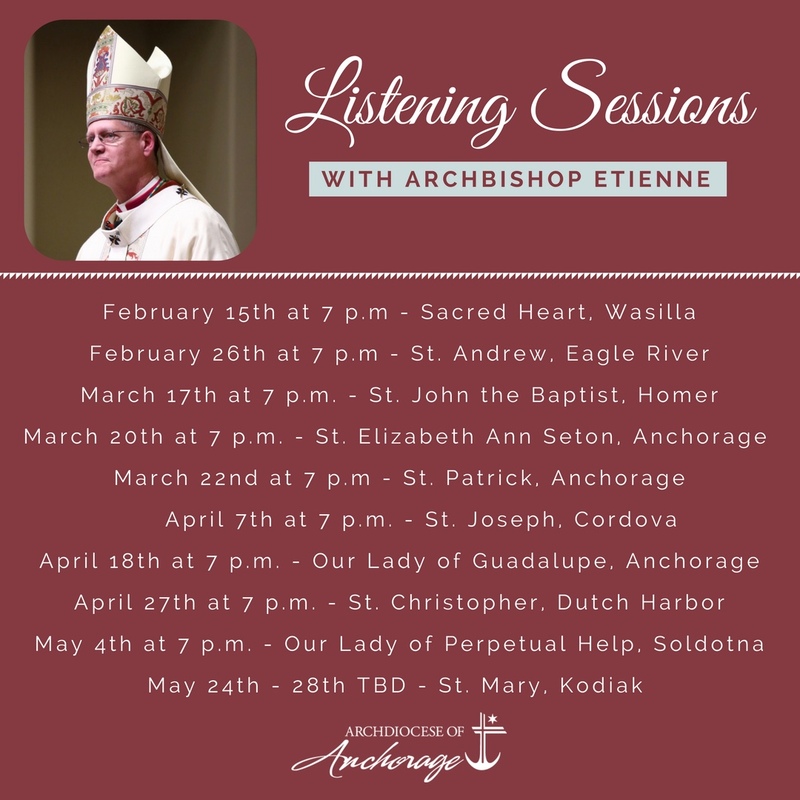 With fifteen months now under my belt, I’m excited to begin a series of listening sessions as we begin a formal process of discerning and defining our Mission as the local church of the Archdiocese of Anchorage. We held the first session last week at Sacred Heart in Wasilla, and it yielded the kind of input that I have been hoping for. I’m sure the remaining sessions will also be fruitful. We envision the first round of sessions to be complete by June, with a more focused round of sessions to resume in the Fall. First and foremost, I invite all of you to please pray during this time that we may be sensitive and alert to where the Holy Spirit is leading us, and that we may humbly follow and boldly accomplish what God is asking of us. Please take a look at the flyer below, and find a place and time that works for you to come join in on the conversation. next post How Good Is The Lord To Us!